I am a graduate of Oconto Falls High School. I attended UW – Whitewater and graduated with a major in Business Education and a minor in coaching. 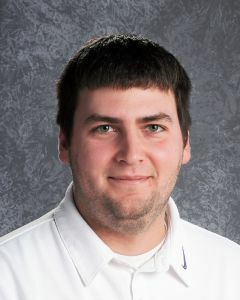 I completed my student teaching at Waunakee High School, and now have been teaching in Lena since the fall of 2008. When I am not teaching I enjoy trap shooting, snowmobiling, hunting, fishing, and pretty much anything else outdoors. I spend most of my time in the summers working construction or helping out on my parents farm. I have truly enjoyed my time teaching and coaching in Lena. I have formed many friendships with co-workers and community members. © 2019 Lena Public School District.